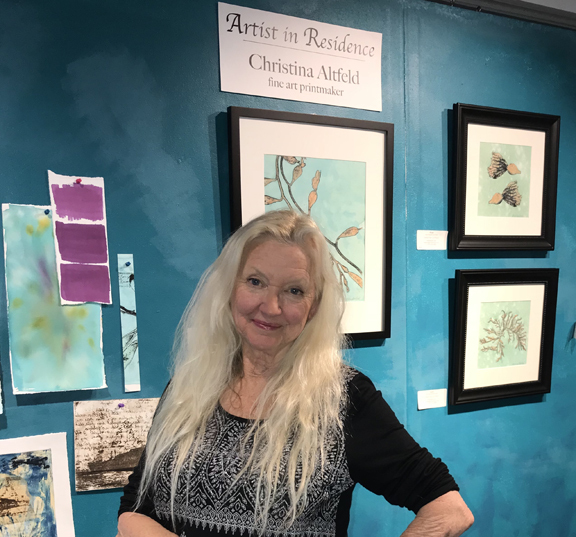 I’ve been enjoying being the Artist in Residence at the Channel Islands Maritime Museum in Oxnard, CA. It’s an incredible museum with a gorgeous view over the harbor. 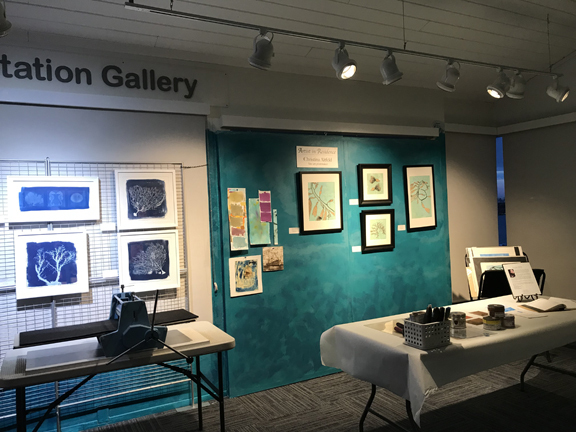 I have a studio set up with a press as well as a gallery of my coastal inspired prints. I’m there on Fridays and Saturdays 10am – 1pm if you’re in the neighborhood, please stop by and say hi. Excited to be one of the 70 artists out of 900 to be included in this international exhibition. 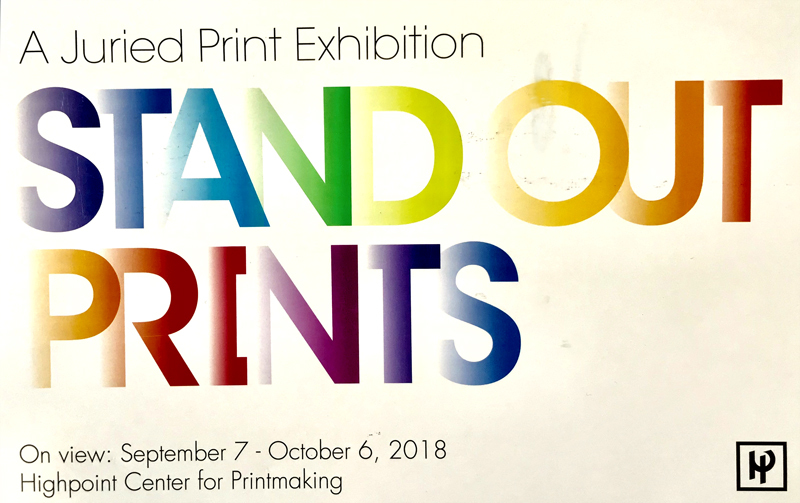 STAND OUT PRINTS 2018 at the Highpoint Center for Printmaking in Minneapolis. Juried by Crawford Alexander Mann III, the curator of Prints and Drawings at the Smithsonian American Art Museum. 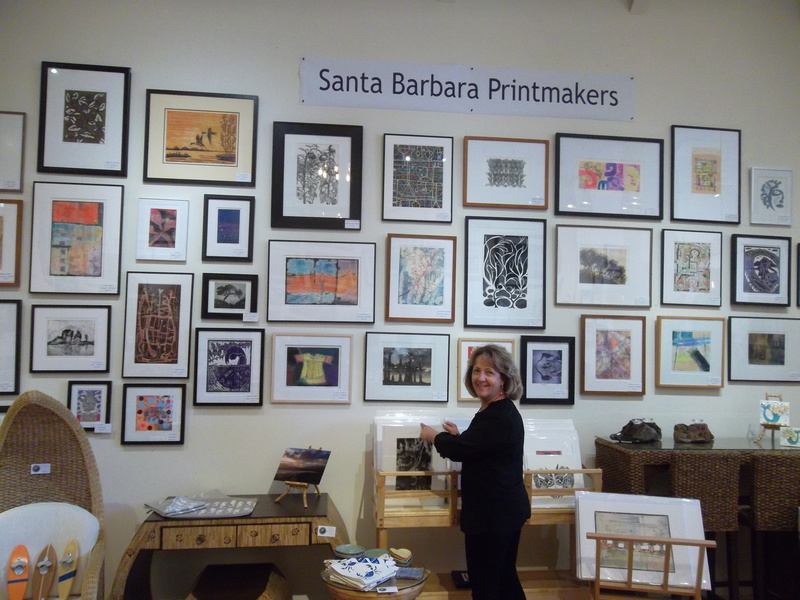 to the Santa Barbara Printmaker’s Exhibit at the Channing Peake Gallery in Santa Barbara. This is one of my new viscosity monoprints. 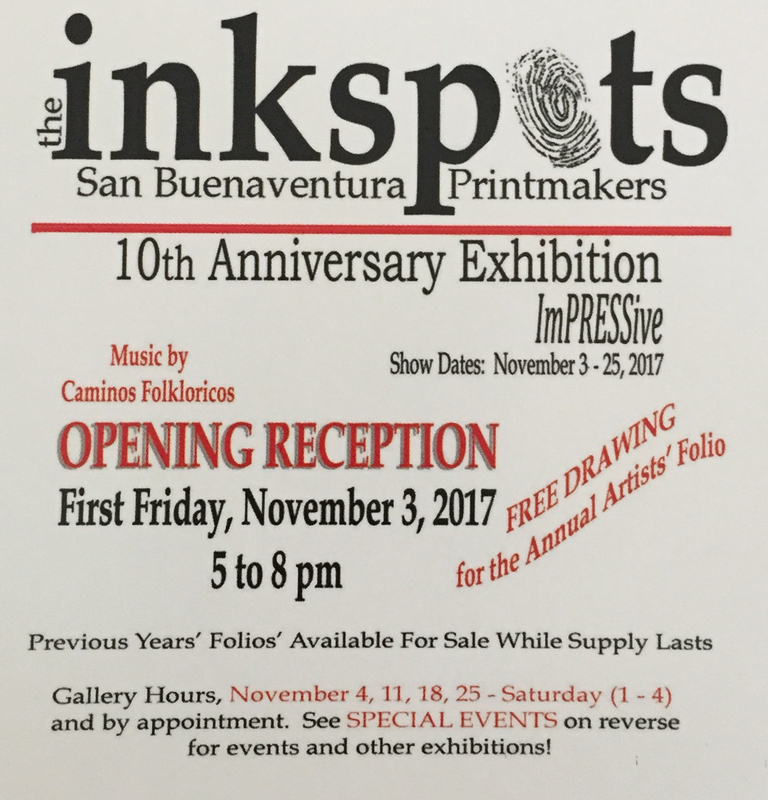 The exhibit will be up until October 10, 2018 and then will travel to Santa Maria. 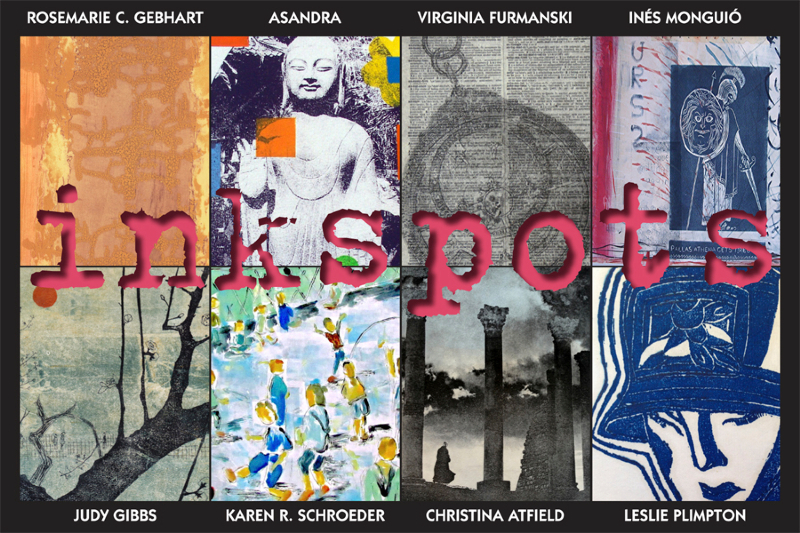 On September 7th there will be printmaking demos at the Channing Peake Gallery located at 11 W. Anapamu Street. 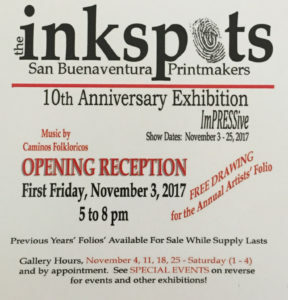 There will be live music by Caminos Folkloricos, yummies to snack on PLUS you can enter our free drawing to win our annual folio of 15 original art. This year we will be having a FREE raffle of one of our limited edition folios. That is 15 original hand pulled prints! We’ll have guitar music by the talented Saint Pierre. 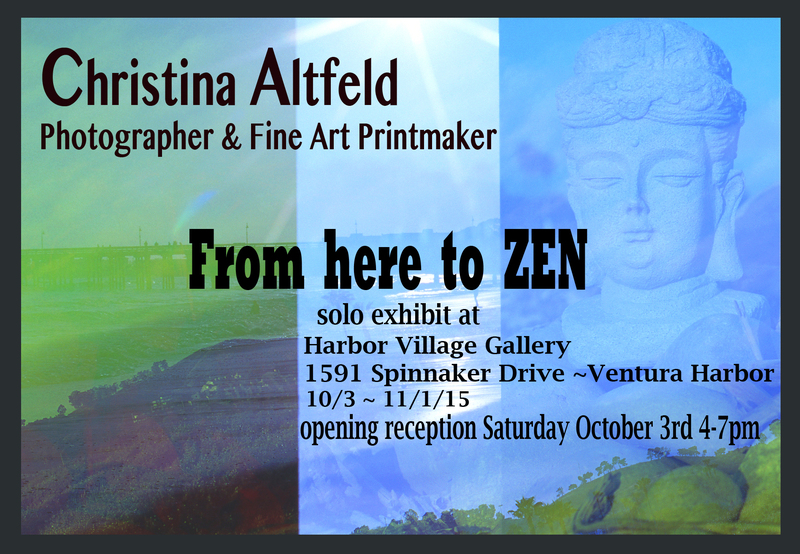 Exhibit will be up 11/4-11/26 Saturday hours 1-4pm or by appointment. 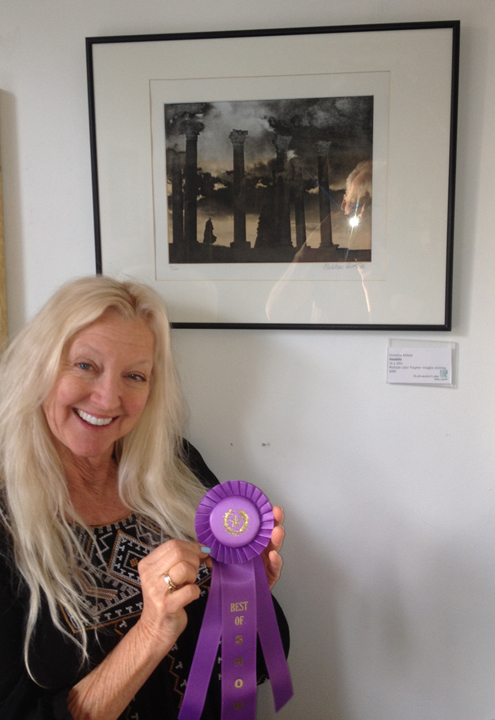 I am so thrilled and honored to have been selected for Best in Show at the Buenaventura Art Association’s 30th annual open competition. It was juried by Katherine Chang Liu. 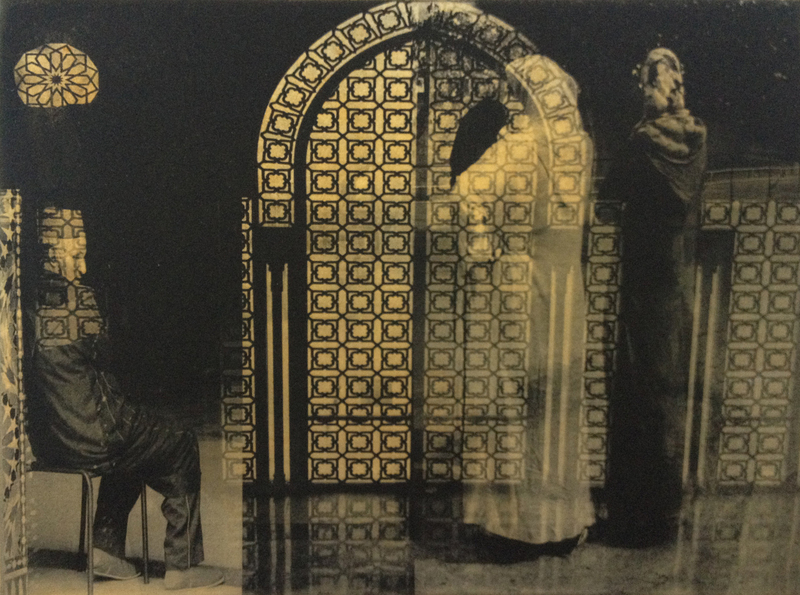 This piece is from my Moroccan series entitled “Volubilis” and is a multi-color polymer etching. I am printing an edition as it truly is one of my favorite etchings to date! 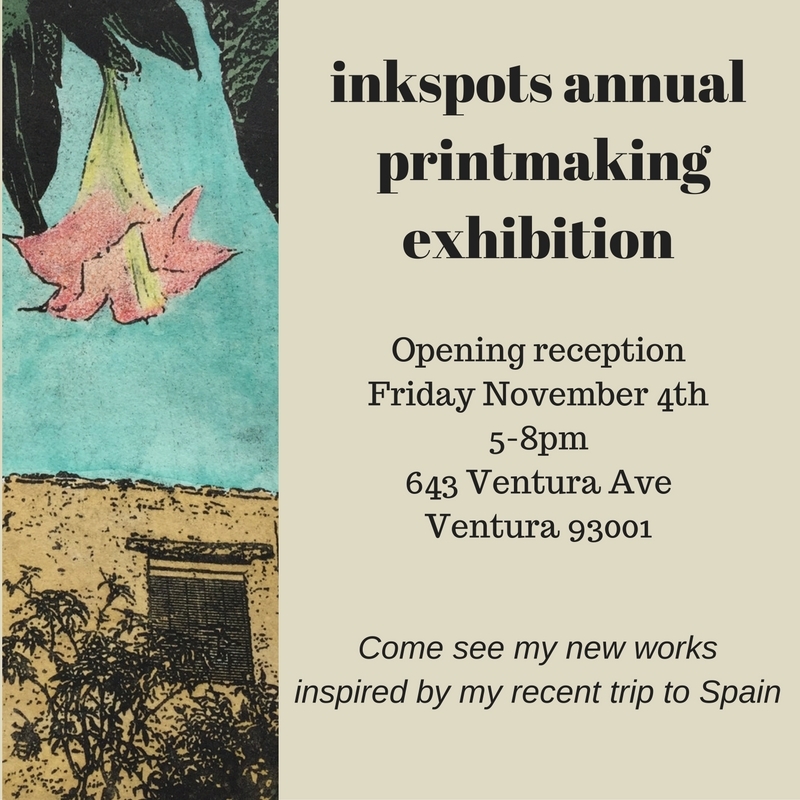 Come join us for Ventura First Friday Gallery Crawl Friday February 5th. Hope to see you there. I’m Thrilled to have been selected for inclusion in the 2014 Pacific States Biennial National printmaking exhibition. Out of 484 submitted entries, 50 works were chosen for the PSBN exhibition at the University of Hawaii at Hilo Campus Center Gallery. The gallery is located at 200 West Kawili Street, Hilo HI. The exhibition opens on October 15, 2014 and closes on December 1, 2014. The piece I submitted is entitled “No Equality” it’s from my Moroccan series and it’s a multicolor polymer etching. Wish I could head over to Hilo!